Made in England, using the latest technology and materials of the highest quality, the Nano Splasher Plug & Play Electric Pool Heater (Incoloy) is ideal for above ground swimming pools. Built for longevity, the Elecro Nano Splasher Plug & Play Electric Pool Heater (Incoloy) is a 3kW unit which can be plugged straight into a plug socket and features a reliable flow switch to safely shut down the heater in the event that water flow isn’t detected. Plumbing of the Elecro Nano Splasher Plug & Play Electric Pool Heater (Incoloy) to your swimming pool is easy. Supplied with adaptors to push fit a 1.5 inch or 1.25 inch flexible pipe, the Elecro Nano Splasher Plug & Play Electric Heater (Incoloy) also has a 1.5 inch BSP female thread to join on to standard pool pipe work. 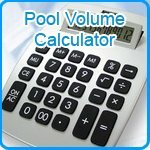 For pools with Salt Chlorinators use the Titanium version. This heater is only suitable for pool sizes of 10ft and 12ft. Purchased this to take the chill of out small 10ft over ground pool. Wow! - leave it on for 2 days with a solar cover on too and the pool was hot tub warm!!!! - for £200 its a bargain. 2 of my friends have since purchased the same setup! I brought a heater for my Granddaughter's 10ft Bestway Pool some time ago from another Company. It was not at all effective. Read about the elecro Nano (Vulcan) spoke to Chris, gave it a go and was totally amazed. How good is it is your question..well we all get in now and that ahhhhhhhhc chill factor definitely gone. easy set up, give it time to do its thing, buy an extra hose to make sure you link the pump to the heater. was very simple. Cost wise.....you need to check it out but we used it for 12-18 hours at a cost of about £3. Our tariff here on the IoM is quite high.You need to follow the instruction and don't expect instant heat. Its a quality product, it does work and we are all very pleased. fast and efficient delivery, easy to install but needed extra pipe.heats up about 1 degree an hour on my 10 foot splash pool so leave on over night to get to a good temp. over all very pleased with it!! This is a good heater for above ground pools.it is simple to connect to your filter but needs an extra bit of piping to connect to your pool.i am using it on a 12 ft pool and although it doesn't pump hot water into the pool after about 12 hours ( leave on over night) it takes the chill of the water and makes it comfortable to get it.leaving it on long helps to raise the pool temperature.as previous reviews have said it cuts off easily if the flow from your filter gets too low.i would recommend upgrading to a sand filter to help this or your will go through a lot of filters. one other problem is the length of the mains lead.this is not long enough and plugging into a extension lead you have to make sure it is high enough rated. Over all pretty pleased but be aware you need other materials ( hose.jubilee clips.external power plug.sand filter) to make it work properly. SELLER NOTE; It is designed to work on small filter pumps (cartridge type) but if your filter clogs up with dirt it will slow the flow rate down and the heater will cut out. Keeping your filter cartridge clean and replacing it when its worn is essential for your heater and keeping your pool clean. This has been a superb buy. Heats our 10ft, 30 inch deep above ground pool quite easily to a lovely temperature. Worth every penny to see the kids spending a hours in the pool without having to come out shivering. Have been able to go in on the cooler days too making sure the pool gets full use. It attaches easily to the pump/filter. Instructions weren't the easiest but having a bit of sense helps you figure it out. We needed some extra corrugated piping so we could attach from pump to the heater (which we already had from an old pump). Also make sure your pump pushes through enough water (1000gallons per hour) or it won't work. Keeping your filter clean helps this, we find jet washing the filter with our hose daily makes it run more efficiently without spending fortunes on new filters!!! Great product worth every penny to see our family of 7 having fun together! !